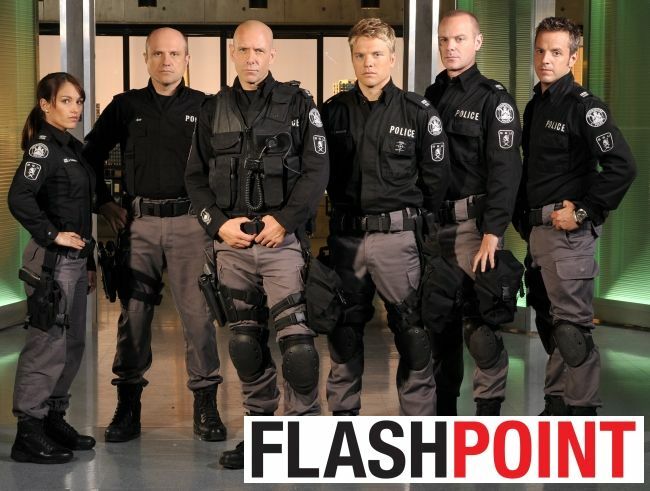 I’m sure he’ll tweet about this later but he’s given me permission to give you guys the exclusive …..
Aaron has land a guest starring role on the tv show FLASHPOINT. He is playing the character GIL COLLINS in the episode 4×14: DAY GAME. He’s flying out to Toronto tomorrow morning for filming. I am soooooooo excited about this. I *LOVE* Flashpoint. It’s one of my favourite shows. UPDATE: The SRU has a new team member in season 4. Clé Bennett as Rafik “Raf” Rousseau. Greg Parker (Enrico Colantoni), Spike (Sergio Di Zio), Ed Lane (Hugh Dillon), Jules (Amy Jo Johnson), Raf (Clé Bennett), Sam (David Paetkau) and Wordy (Michael Cram).